For a lot of us, chocolate pudding is pure comfort food. It takes us right back to our childhoods, right? There’s no reason we can’t have our proverbial pudding at eat it too. Meaning, pudding can be both delicious and nutritious, at least when we’re talking about avocado chocolate pudding! 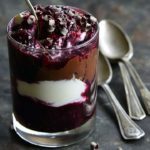 This Avocado Chocolate Pudding Parfait with Easy Berry Sauce for Two is paleo, keto, and vegan friendly. It’s also luscious with deep chocolate flavor. The berry sauce adds the perfect pop of sweet/tart flavor contrast to the rich chocolate flavor. Lastly, a dollop of whipped cream on top and a sprinkling of chocolate curls make it extra special. 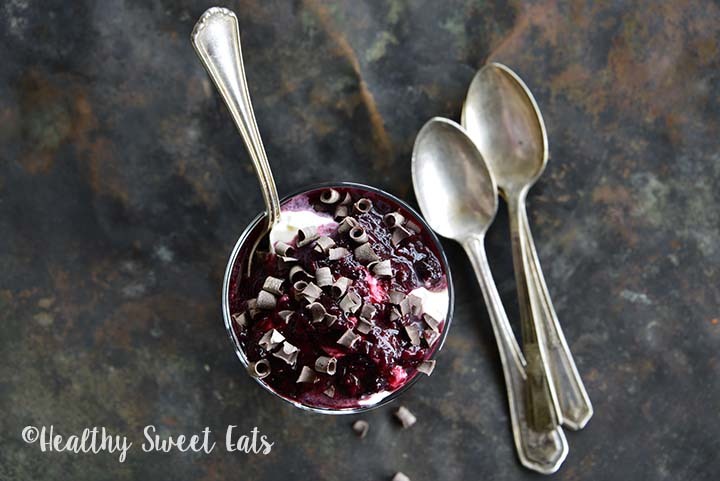 It makes just two servings and is perfect for Valentine’s Day dessert with your sweetie, or any date night dessert at home! 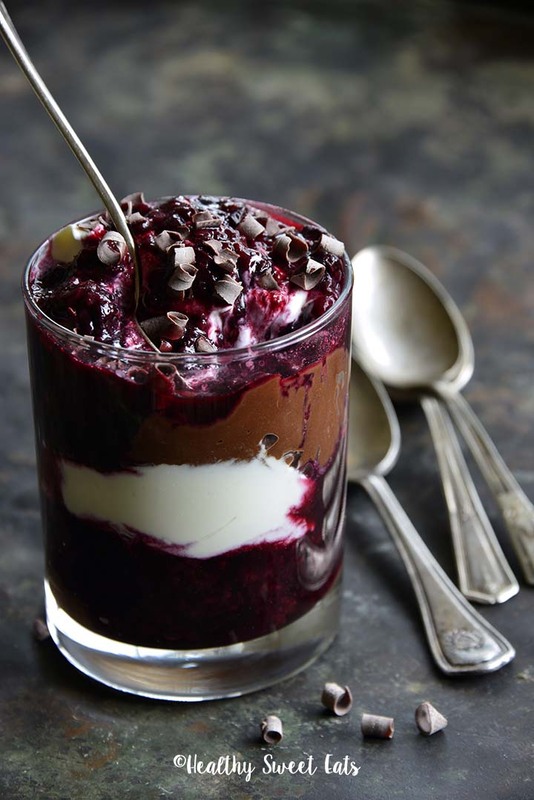 There are so many ways to make a delicious healthy chocolate pudding. Whether you’re paleo, vegan, keto, etc., there is a pudding for you. One of the best things about avocado chocolate pudding is that using avocado as a base makes it keto, paleo, and vegan. Just be mindful of the other ingredients you add to make sure it fits in with your eating style. The biggest thing to remember with vegan chocolate pudding is to be careful about what milk (or other liquid) and sweetener you use. Vegan friendly milk options include seed and nut milks like almond milk, cashew milk, hemp milk, etc. 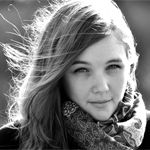 Good vegan friendly sweeteners are maple syrup, agave nectar, and stevia. Because the paleo lifestyle is dairy free and free of refined sugars, it is important pay attention to your milk and sweetener. Almond milk and/or coconut milk are both convenient paleo milk options. As for sweeteners, coconut sugar, honey, and maple syrup are all great choices for paleo sweeteners. Instead of adding a dollop of regular whipped cream on top, add a dollop of coconut whipped cream. To make keto chocolate pudding, be mindful that it should be high in healthy fats and low in carbs. The easiest way to make chocolate coconut pudding is to cook canned full-fat coconut milk down with unsweetened cocoa powder and your sweetener of choice until it reaches a thick, pudding-like consistency. Check out this Paleo Vegan Dark Chocolate Coconut Pudding recipe for ingredients and instructions. If you haven’t made chia pudding yet, try it! You’ll be surprised at how delicious it is, and easy it is to make. Chia seeds form a pudding-like gel when combined with liquid and are the base for a lot of different pudding recipes. The sky is the limit, you can basically flavor your chia pudding any way you like! 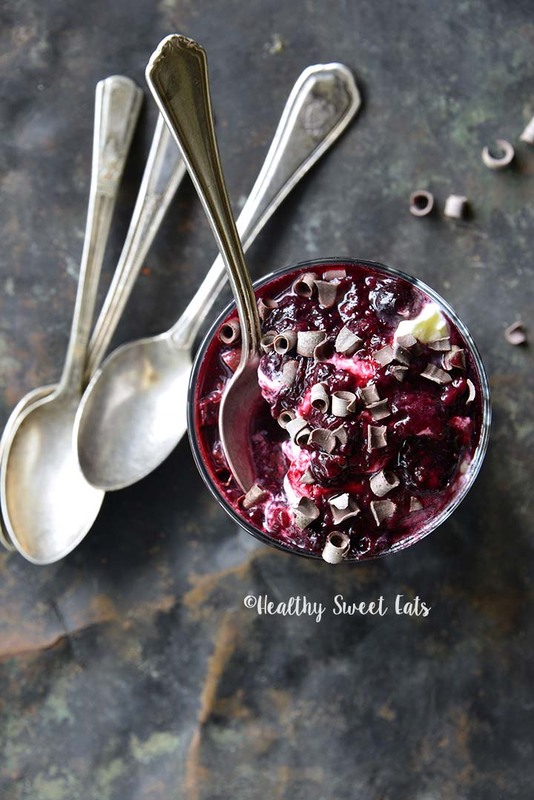 My recipe for Low-Carb Overnight Black Forest Mocha Chia Seed Pudding is a great recipe to take a peek at if you want a truly special chocolate chia pudding. One of the easiest way to make a nutrient-dense healthy chocolate pudding is to use avocado as the base! Avocado chocolate pudding is smooth, rich, and creamy with minimal effort. It requires very few additional ingredients because avocado naturally has a smooth pudding-like consistency when blended. You won’t believe how easy it is to make avocado chocolate pudding. Just add all ingredients to a blender or food processor and process until smooth! No matter what Kourtney’s recipe actually consists of, I think it’s safe to say she’s a fan of avocado, lol! I wonder if she’s tried avocado chocolate pudding? 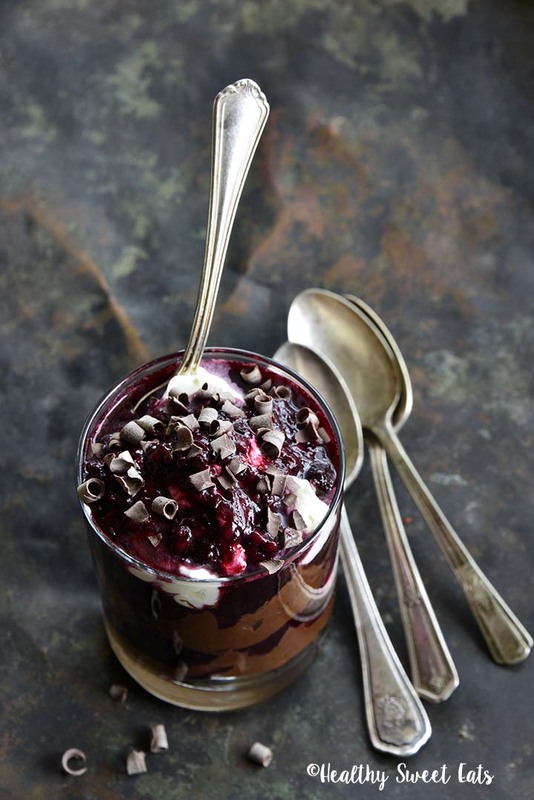 Avocado Chocolate Pudding Parfait with Easy Berry Sauce for Two is deeply chocolatey, healthy, easy to make, and is perfect for date night dessert! For the berry sauce, microwave the berries (don’t add water) for 6 minutes at 50% power (they should form a liquidy sauce; I don’t thicken it because I like it liquidy, but you can thicken the sauce with a little fruit pectin or cornstarch if you want). Stir in the stevia, lemon juice, vanilla, and salt, and cool completely. 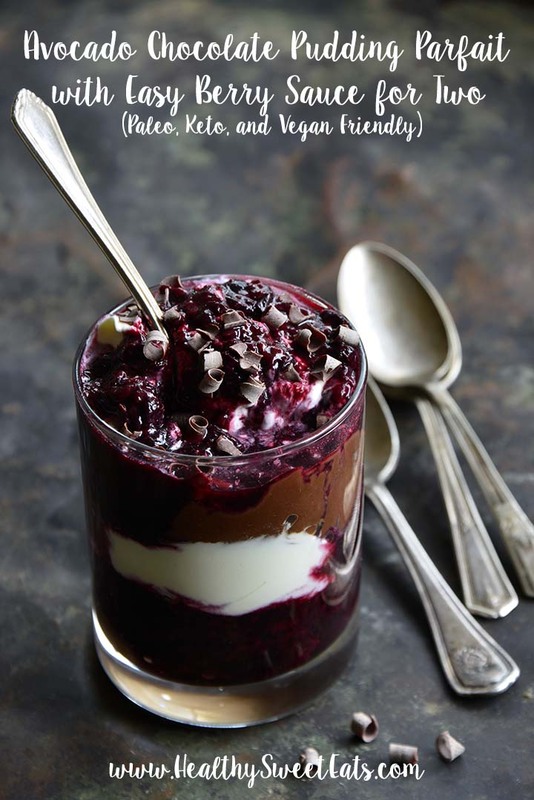 Layer the pudding, berry sauce, and whipped cream in 1 large parfait glass. Sprinkle the chopped dark chocolate or chocolate curls on top. Keto Version: Instead of 4 tablespoons maple syrup in the Chocolate Avocado Pudding, use stevia and/or erythritol to taste. I use 2 (1g) packets of stevia/erythritol blend. Paleo and Vegan Version: Instead of topping with whipped cream, top with coconut whipped cream. For vegan, use a vegan brand of chocolate (such as Enjoy Life) and for paleo, use stevia-sweetened chocolate (such as Lily's) for topping.